In this video, CJ talks about one of her favorite items to use on the road: the Farberware Double Burner Stove Top. Clean up is easy, maintenance is minimal, and you can stow it away just about anywhere on your truck. You can cook just about anything on it, too. Have you read our blog on how to maintain a healthy diet while on the road? If not, you should read through it to pick up a few tips to help your trucker diet. 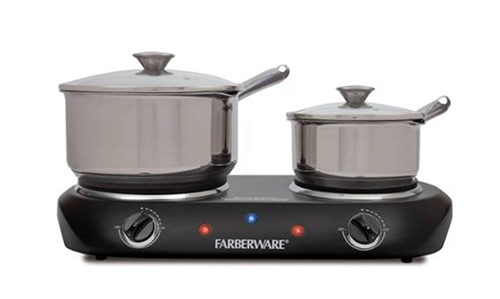 If you can think of it, you can probably cook it on the Farberware Double Burner Stove Top. Get yours today! You can find it on Amazon for around $35, and would be a great addition to your truck to help make your life on the road better.